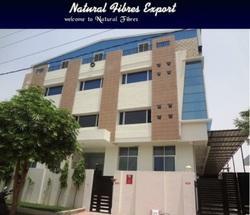 Right from its establishment in the year 2003, Natural Fibers Export is proficiently working as a manufacturer, supplier, retailer, wholesaler and exporter of an outstanding gamut of Home Furnishing Products. Our wide range of products includes Cotton Printed Cushion Covers, Cotton Woven Cushion Covers and Kilim Cushion Covers. Made using quality assured fiber and eco-friendly materials, our range of products is widely known in the industry for its attractive colors, fine finishing, style quotient, eye-catchy patterns, alluring designs and durability. We are supported by a widely spread infrastructural facility that is equipped with modern tools, machines and equipment that assist us in timely completing the allotted tasks. We have segregated this facility into different sub-sections that helps in efficiently carrying out various business operations and processes. Our infrastructure includes designing, production, quality testing, research and development, warehouse and packaging as well as sales and marketing units. All these units are managed by skilled and deft professionals who understand the growing needs of the clients and the market. Their proficiency in developing the products in different thicknesses, colors and finishes has helped us earn a huge clientele that spreads across the major markets of USA, Australia, Netherland, Canada, Singapore, Japan. As quality is an inherent part of Natural Fibers Export, thus we are able to ensure high levels of quality in the products offered by us. Various techniques and methods are followed by us to make maximum utilization of all the available resources, thereby ensuring the compliance of our products with international standards of quality. Besides, our quality control staff conducts various tests in order to eradicate all the flaws of our products and remove every hurdle that comes in between our success. We also ensure that environment friendly polices are adhered by us while developing our range of products. All these factors contribute towards keeping us ahead from our competitors. Mr. Rajendra Gupta (Partner) has always believed in meeting all the challenges put forth by the industry, with full confidence. He believes that the dedication, commitment and talent of a person can help him attain his goals. Therefore, he motivates and encourages the team to work towards ensuring their growth and searching new ways to accomplish their skills. Mr. Rajendra Gupta is a man of high moral values and principles whose skills and experience in the industry has helped us manage all the facets of business with complete efficiency and precision. 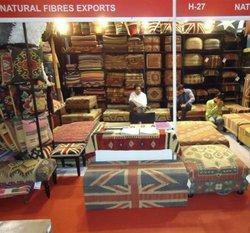 Manufacturing, Trading, Importer & Exporter of Home Furnishing Products. Our well developed infrastructural facility sprawls across a wide area and is equipped with all the requisite tools and machinery. We are able to produce up to 20-30 containers per month. Our rich industrial experience coupled with our strict quality assurance policy has helped us become a leading name of the industry. We make sure that quality of each and every product is stringently tested on predefined parameters in order to ensure maximum contentment of the clients. Our professionals procure eco-friendly raw materials and fibers from reliable market vendors to manufacture a highly demanded range of Home Furnishing Products. Moreover, our professionals keep themselves updated with the dynamic changes of the market to stay in line with the modern trends. 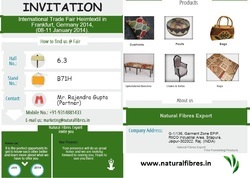 Natural fibres export going to participate international fair 'heimtextil frankfurt' trade fair, Germany. The availability of a highly proficient, skilled and experienced team of professionals has helped us become who we are today. This success and growth of our company in a short time span is credited only to the unwavering support and efforts of our team members. Their expertise and knowledge in the domain has assisted us to meet the bulk requirements of the clients in a time-bound manner. These professionals have been recruited by our skilled departmental heads keeping in mind their qualifications, creativity and skills. Besides, our professionals utilize innovative methods to design and develop a scintillating range of products. 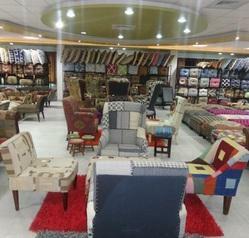 We are one of the pioneer manufacturers and exporters of a diverse array of Home Furnishing Products. Our company enjoys a continuous profit track record right from the time of inception owing to the strict quality assurance, client-friendly policy and competitive pricing.